A look at how Node adoption is climbing at record pace thanks to improved security procedures, new conferences, and a healthy community of contributions. A gradual approach to adopting CSP, a way to mitigate cross site scripting risks by preventing resources from untrusted origins from loading. Quickly visualise the difference between versions defined in your package.json and versions installed in the node_modules folder. 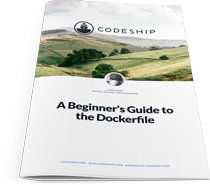 Download our free eBook and learn how to create a Dockerfile from scratch, how to push images to Docker Hub, and some Dockerfile best practices. Camilo Reyes shows how to write robust, testable code using SOLID principles by building a small but functional microblog with only minimal dependencies. We’re told a final release is imminent, but for now this post shows off what’s new in the next version of next.js, a framework for server-rendered React apps. More Than 1 Million Requests Per Second in Node? .. using the uWebSocket library. Hacker News debated the results and methodology. A tidy 13 minute intro to AMP (Accelerated Mobile Pages) and how to work with it in your Node-powered sites. They switched over yesterday to a Node and React-based PWA. A look under the covers. A long standing project but still getting frequent updates. A point of interest: Should ‘this’ be considered an argument when memoizing? As a talented Node developer, shouldn’t companies apply to you? Hired empowers you in your job search by having companies apply to you, and with transparency into job offers.